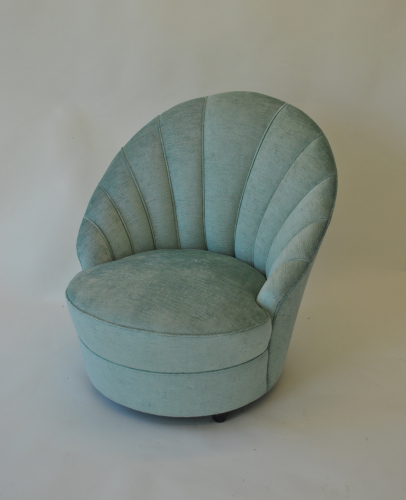 Beautiful Art Deco style shell bedroom chair. Reupholstered in a turquoise velvet. Seat measures 62 cm wide and 58 cm deep.